If you have a glass elevator plan, we welcome you to check out Vision Elevators from Nationwide Lifts that offers five elevator models made from clear polycarbonate that can also be made from true glass. We call our models glass elevators because they're clear as glass and add functionality as well as style to homes and businesses. When you ride in a Vision Elevator, you enjoy the crystal clear, 360-degree panoramic view. Our glass elevators are a center point for attention, a conversation piece, and a work of art. The clear panel construction prevents the elevators from overwhelming a room. They complement the room and riding in them is a special treat. Vision elevators aren't just attention grabbing with their clear as glass appearance, they offer practical features, from increasing mobility between floors with wheelchair access in the larger systems. They are compact and economical able to lift from 350 to 830 pounds over two to five floors. Our glass elevators offer increased accessibility options and decreased injury hazards with customized features that allow the elevators to blend in with your property. 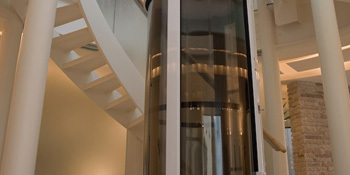 Our glass elevators are easily installed with no pit or machine room required. Our elevators operate with pneumatic vacuum or cable systems, with air pressure lifting the pneumatic elevators while cable elevators feature a motor and drum unit at the top of the shaft. We offer the industry's best warranty, 10 years on mechanical parts, three years on electrical, and one on labor. We also offer 24/7 telephone support. 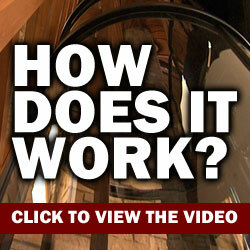 You can reach us anytime with questions about your glass elevators. 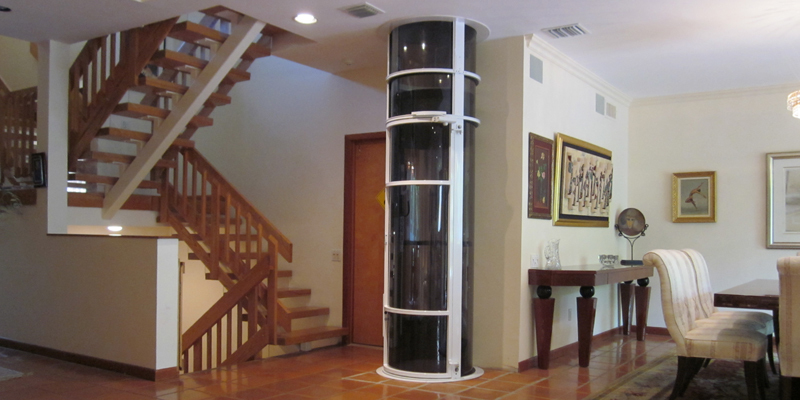 Call us toll-free at 888-221-8525 for a free quote or information on any of our glass elevators. We're Vision Elevators, from Nationwide Lifts with offices across the country and an assortment of breathtaking elevators that will satisfy your glass elevator plan.